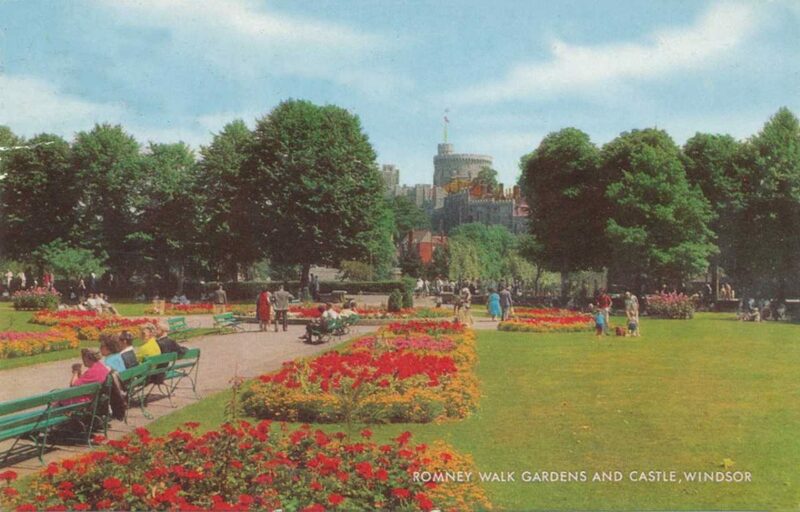 The first picture above shows Alexandra Gardens in perhaps the 1960s. The second slide shows it today. Whilst the park is still a pleasant green oasis, it clearly isn’t as nice a place as it was. Much of this could be fixed by changing the council’s low-maintenance eco-policy on flower beds, i.e. not planting flowers. However, if you look at the third slide, you can see that much more could be done. The park is overlooked by parking. You can’t see the river as you once could. Combined, these changes would add hundreds of new parking spaces, solving one of Windsor’s most pressing problems, but also removing the visual dominance that parking currently has around the riverside. The park would grow significantly in size and be a much more pleasant and open space. With parking underground there’s then the opportunity also to improve the parking area behind – make the coach park bigger still, expand the industrial area, or add a row of Georgian-style houses as in Regent’s Park? The research was backed-up by that from the CWNP plan, now merged into the new Windsor NP. This asked “do you think the WLR is worth more consideration” and residents answered yes by a ratio of about two to one. Finally, we should also remember that a significant minority want no change at all. In WLR’s survey, this varies from the 5% that thought improving the railway wasn’t important to the 39% who would rather Windsor was quieter rather than busier. Of course, WLR may actually be able to to both, by making better use of rail transport WLR may be able to achieve a feel of less being less busy whilst actually improving capacity. Update 10/9/14: The wording of the of the CWNP survey question was corrected.